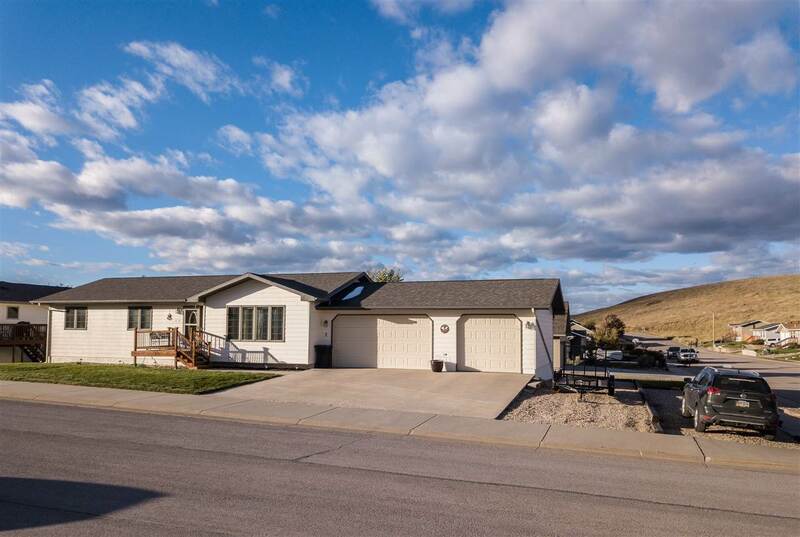 Call or Text Cathy Buckmaster - The Real Estate Center of Spearfish - 605-210-2222 for more information. There are not many like this, 5 bedroom, 3 1-2 bath home! Features include a main floor laundry, 3 stall garage, beautiful basement pool room with wet bar, and a theater room. This home has had immaculate care and is waiting for you. The kitchen appliances have all been upgraded with state of the art equipment. The kitchen range has double ovens. There are tons of cabinets and a large pantry. Just off the kitchen is the laundry room and a 1/2 bath. The home features curb creations around the house and a large exterior shed that has electricity to it. The attached garage is insulated and has natural gas stubbed in, but no heat is currently connected. The exterior is maintenance free. The beautiful wooden windows are metal clad on the exterior for easy maintenance.